When Jayne was planning her birthday she liked the idea of a flat party at home, and wanted pretty lights to make the party look beautiful. Luckily Jayne had been to a party which had great lighting, fantastic colours in every room, disco effects, lasers and smoke too, so she knew when she asked Sir James to set up her party lighting exactly what to expect. 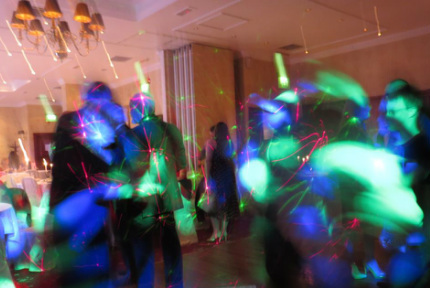 Good party lighting can turn a living room into a dancing room!